JVC announced the new custom installation projectors that features an upgrade of the company’s unique e-shift technology and enhanced HDR functions that allow the image to be fine-tuned for specific viewing environments. The new DLA-X9900 projector delivers a performance boost thanks to 4K e-shift5 technology, which features a new algorithm that optimizes the fine detail that 4K delivers, and improved HDR functionality that allows the projectors to deliver brighter and more dynamic HDR content. JVC’s e-shift is proprietary high-resolution display technology that provides clear 4K precision images. A new algorithm in e-shift5 analyzes every pixel in the original 4K signal to determine the optimal data to create the e-shift frames. This improvement is particularly noticeable in fine detail, such as very small text. All JVC projectors offer high brightness and the industry’s leading native and dynamic contrast, which are essential for proper HDR playback. A new Active Intelligent Lens Aperture is now available for HDR to let viewers enjoy the most dynamic projected HDR images ever seen. Unlike direct view displays where screen size and brightness are specified and fixed, projectors require adjustment in order to reproduce the PQ curve adopted by HDR 10. JVC projectors handle this by offering an Auto Switching HDR Picture mode and gamma adjustment, and now on two models – the DLA-X9900 and DLA-X7900 – also offers two color profiles, one prioritizing brightness and the other prioritizing color. These can be selected to best suit the viewing environment. To further improve the reproduction of 4K content, JVC has improved its Multiple Pixel Control by sampling all pixels in the 4K signal to deliver the smoothest, most finely detailed images from 4K content. JVC’s Low Latency Mode reduces frame delay for improved game play, and also improves the processing of high bandwidth signals, such as 4K10bit, 12bit, etc. directly without compression to ensure that the quality of the original source is preserved. 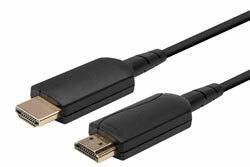 JVC incorporates HDMI/HDCP2.2 on both HDMI inputs. Two (2) HDCP2.2 copy protected devices can be connected at the same time. These HDMI inputs are capable of handling data transfer rates up to 18Gbps, which can deliver full spec native 4K signals such as 4K60p 4:4:4, 4K60p 4:2:2/36bit and 4K24p 4:4:4/36bit, and allow playback of copyright-protected content, such as from video distribution services and UHD Blu-ray. 1. THX 3D Certification (DLA-X9900, DLA-X7900). 2. Two blur reduction technologies: Clear Motion Drive, which is compatible with video signals up to 4K/60 4:4:4, and Motion Enhance, which optimally drives the D-ILA device. 4. Auto Calibration Function that can, with the use of a widely available third party optical sensor, automatically calibrate the image to optimize the picture for various environments. In addition, this can also compensate for the changing color balance that occurs with long-term projector usage so the projector can continue to deliver optimal performance. 5. Onboard Screen Adjust Mode, which easily optimizes color and performance, is offered for an expanded list of screens from a variety of manufacturers. 6. Two memory settings for the pixel adjustment function, which offers fine adjustments in 1/16 pixel units. Available optional accessories include a spare lamp (PK-L2615U), and 3D accessories: RF emitter (PK-EM2) and RF glasses (PK-AG3). The new limited edition DLA-20LTD commemorates the 20th anniversary of the development of the D-ILA device, first announced in October 1997. The limited edition model features a red body, JVC’s brand color. It offers the industry’s highest native contrast ratio – 200,000:1, and includes a D-ILA 20th anniversary opening logo displayed upon start up. Details about availability and price will be announced at a later time.